You, a nonprofit employee, are preparing for the biggest fundraising event of the year: giving season. Website call to actions? Check. Social media ramped up? Check. Game face? Double check. All that’s left is email. Between the newsletters and narratives, email subject lines sometimes get neglected as a fundraising tactic. By doing so, nonprofits miss an opportunity to leave a lasting impression on their donors. Think of email subject lines as the elevator pitch of your nonprofit. You have mere seconds to strategically “sell” your nonprofit to users, so you need to pack a lot of punch in a just few words. In case you’re not convinced, let’s start out with the big picture. 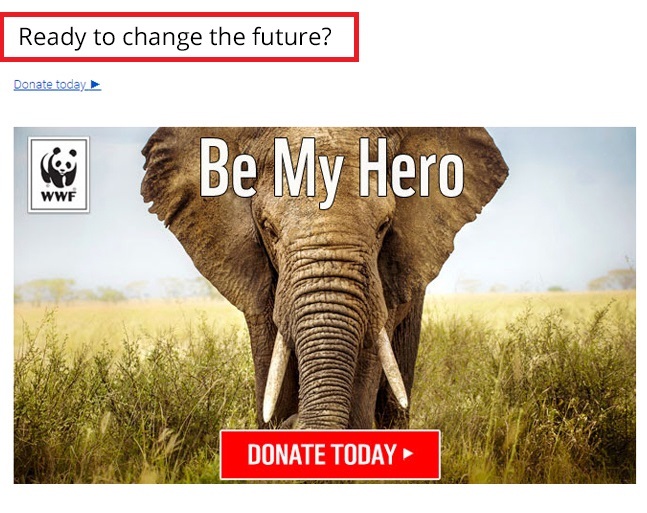 Why should nonprofits care about email marketing? Emails notify donors and interested parties about what your nonprofit has been up to, which can mobilize volunteers and increase donations. Keeping followers in the loop about your organization is a great way to encourage people to keep supporting your cause. Speaking of donations….nonprofit email marketing has a high ROI – for every $1 spent, nonprofits get an average of $38 in return. This is a perfect example of a low-cost marketing tactic that can yield major returns for your nonprofit. Email marketing tools make it easier than ever to set up an email template for your nonprofit to use. I’m a personal fan of MailChimp. No need for fancy designers here, people. First impressions matter, and that’s exactly why email subject lines are a nonprofit’s first opportunity to show personality and pique the recipient’s interest. Once you have their attention, you have a chance to make or break their likelihood of taking action, whether that’s donating or volunteering. Every aspect of a nonprofit (including email subject lines) has to work towards your organization’s goal. Check out how these 5 email subject lines stand out in inboxes and advance nonprofit’s goals. Personalizing subject lines with a recipient’s name is a sure-fire tactic for your email to stand out in a recipient’s inbox. Right off the bat, it makes your recipients feel like they have more of a relationship with your company than if they received a standard, unpersonalized email. Plus, personalized email subject lines have a conversion rate six times higher than an unpersonalized subject line. People are busy and don’t want to invest a lot of thought into their emails. 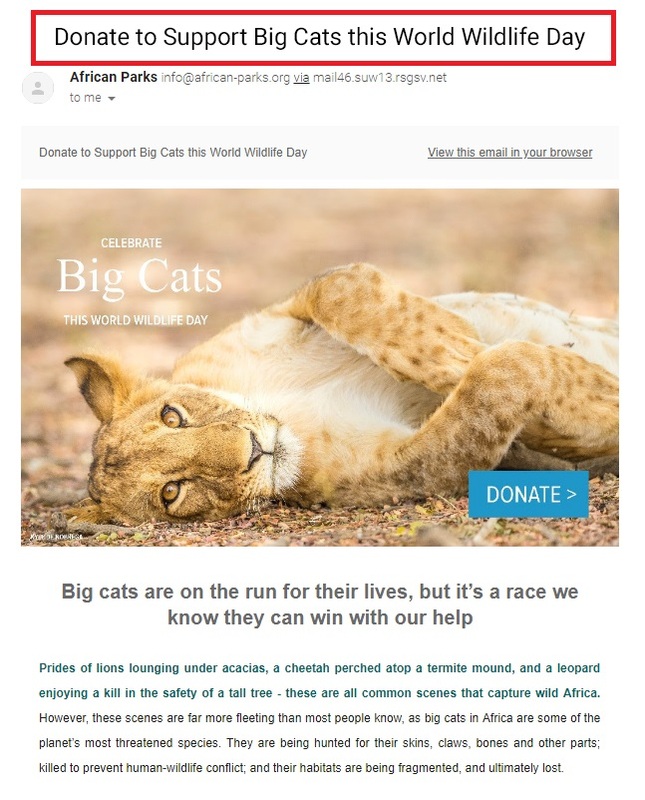 Both the email subject line and the body of the email work together to answer the 5Ws: who (big cats), what (donate), when (World Wildlife Day), where (Africa), and why (big cat species are becoming increasingly threatened). 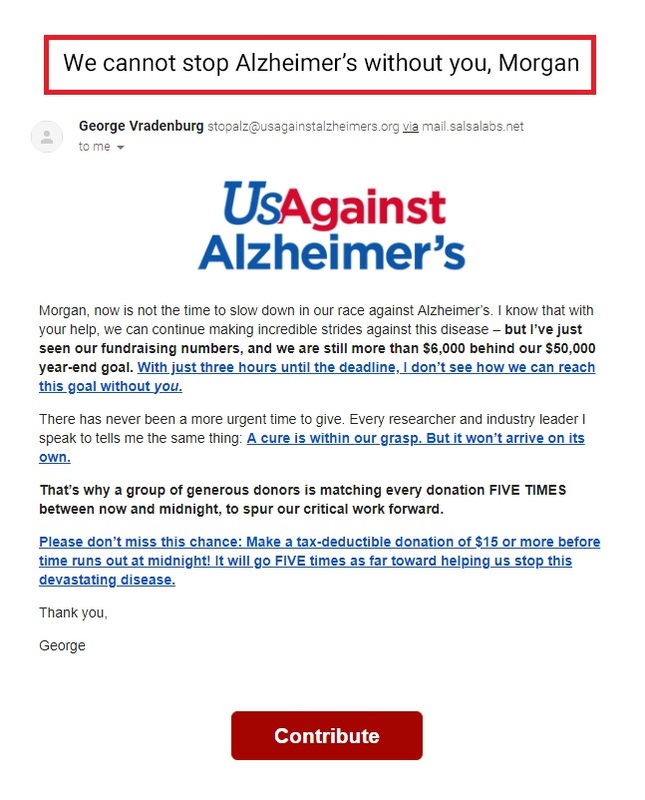 By using transparent language, email marketers give donors a more detailed insight into where their money is going, rather than a generic “donate now.” subject line. This is a great example because it tells donors what to do, how their money is being spent, and when they should donate, all in less than 10 words. You’re telling me if this email subject line popped up in your inbox, you wouldn’t open it? Kidnapped royalty? 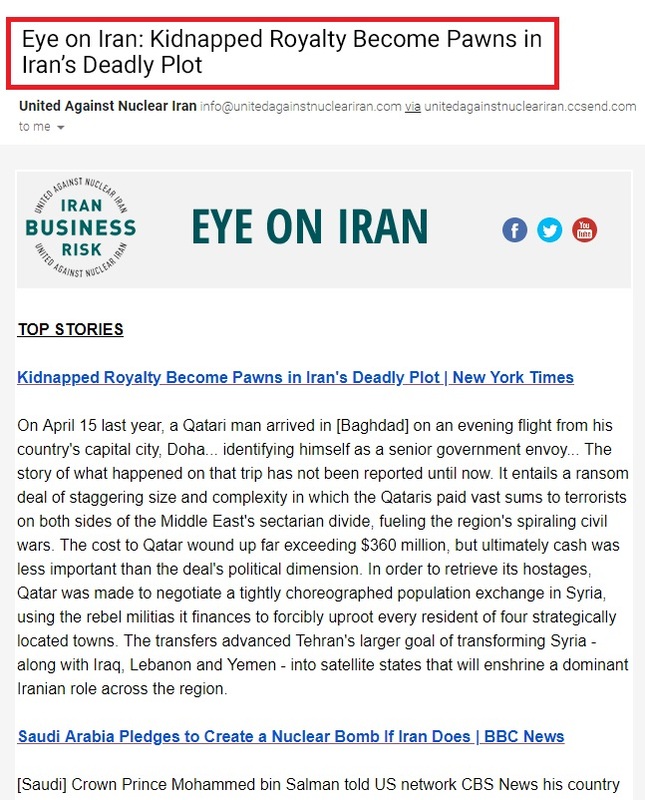 Pawns in Iran’s deadly plot? So. Many. Questions. That’s exactly how you want to hook your readers. An intriguing subject line that piques a reader’s interest is another way to boost open rates. Why are you sending this email? In this case, it’s to alert people that there’s one week left to apply to the 2018 Laureate Global Fellowship. This nonprofit was able boil down the point of the email in 5 words which, given the length of this email, is impressive. Deadlines, sales, and special offers are all attention-grabbing subject lines that tell your readers what the email’s about without them having to search. For nonprofits, strong email subject lines in their marketing campaign is one of the best digital strategies for persuading readers to take action. 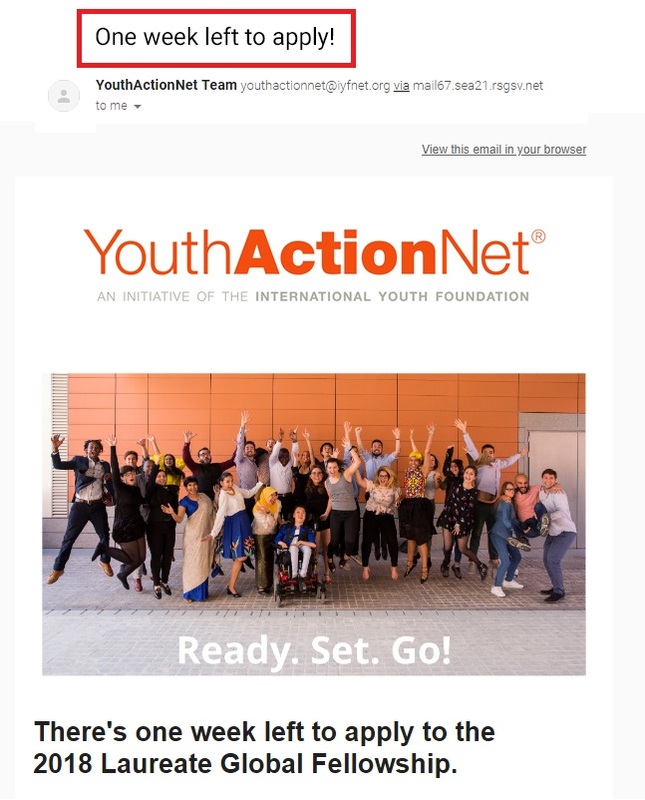 Creating a client-nonprofit relationship via personalization or directing questions at the reader, using action-oriented verbs, piquing interest, and cutting straight to the chase are all subject line tactics that can be used to increase your nonprofit’s email open rates and, ultimately, bottom line. We Tried Facebook’s New Donation Tools. Here’s What We learned. You’ve got a large, engaged Facebook following. They comment, they like, they share. But, for some reason, they’re not donating.